Bloody and brilliant, “Dead Man’s Shoes” is an emotional rollercoaster from beginning to end. The 57% rating on Rotten Tomatoes is both a crying shame and a sacrilege, because this is Shane Meadows’ masterpiece — a film that transcends the revenge genre, delivering a heart-pounding, intense story that lets events unfold in a way that is anything but simple. Richard (Paddy Considine) returns home from military service with no intention of living a nice quiet life and settling down. The target of his rage: a low-rent drug gang that did some terrible things to his borderline simple brother Anthony (Toby Kebbell) some time before. After Richard threatens a drug dealer and later gives him an unsettlingly twitchy apology, the gang of thugs suspect that ol’ Anthony’s brother might be a few screws short of a tool box, but don’t know how to react. Sonny (Gary Stretch), the most sadistic and smartest (and in a group like this, that’s not saying much), takes charge as best as he is able, but they are no match for Richard’s cool-headed brutality and military training. This is when things get decidedly more ambiguous. What exactly happened to Anthony? What parts of Richard’s viewpoint are unreliable? 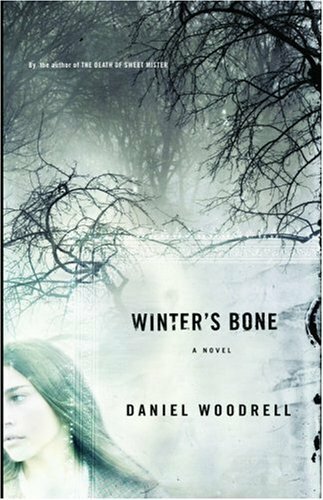 When he faces the thug who has broken off from the gang and raised a family, Richard grows less and less sure of himself, leading to a shocking conclusion that rivals the majority of thrillers in its freshness and great writing. I’m not exaggerating when I say that Paddy Considine’s performance here is one of the best acting jobs I’ve seen. He makes Richard thoroughly believable and doesn’t stoop to any tough-guy cliches. What Richard lacks in size, he makes up for in calm, calculated violence. His performance is powerful and a testament to lesser-known actors who seem to slip through the cracks all too often. Toby Kebbell, who gets overlooked all too often is also very good as Anthony, a simple-minded fellow whose naivete proves to be dangerous as he navigates a rough area without his older brother, who he looks up to, to protect him. He is very believable playing a mentally retarded character, and doesn’t overplay his hand or make his character a ham-fisted caricature. The other actors never match up to Considine’s ferocious portrayal of a vengeful loner, but they do fine on their own. There’s a scene between the reformed drug dealer and his wife that is very powerful and moving, and the thugs do good job as their drug-hazed obliviousness turns to fear. There is also some humor (mostly derived from the stupidity of the antagonists) and some tender moments between Richard and his brother. 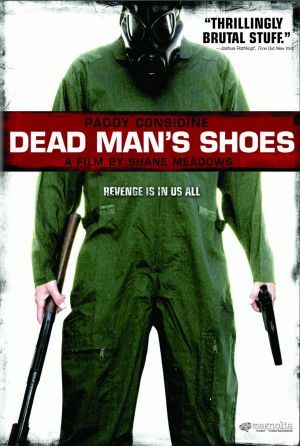 “Dead Man’s Shoes” proves there is still some smarts left in the thriller genre, and boy do I love it for that. It benefits from a smart script and a blistering performance from Paddy Considine. Watch it, and you will not be wasting your time. I didn’t waste mine.